These super pliable keto tortillas are gluten-free, grain-free and corn-free. You’ll be able to make your favourite Mexican recipes with this low carb tortillas recipe. Once you make these, you’ll never go back! 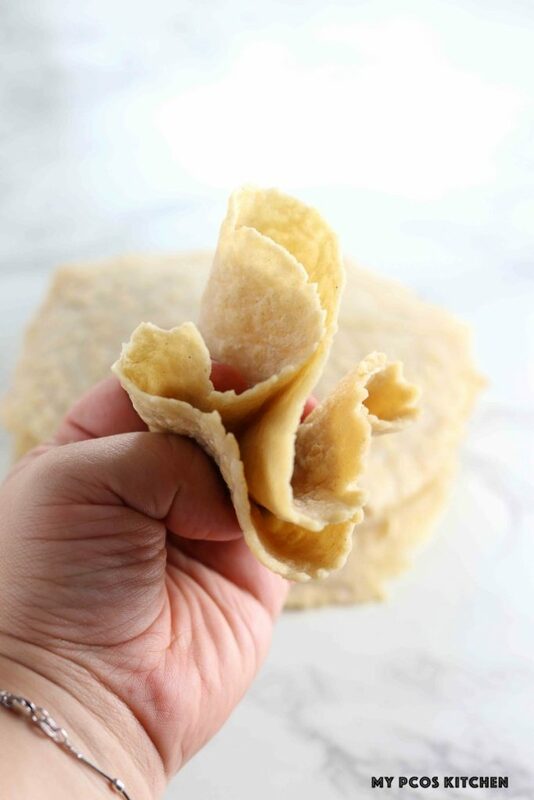 It’s incredibly easy to make these keto tortillas as you only need a handful of ingredients and tools. Traditional corn tortillas use a tortilla press to make its shape, but since most households do not own such a tool, I’ll be showing you how to make it with just a cast iron skillet, or whatever heavy frying pan you have, and your own weight. 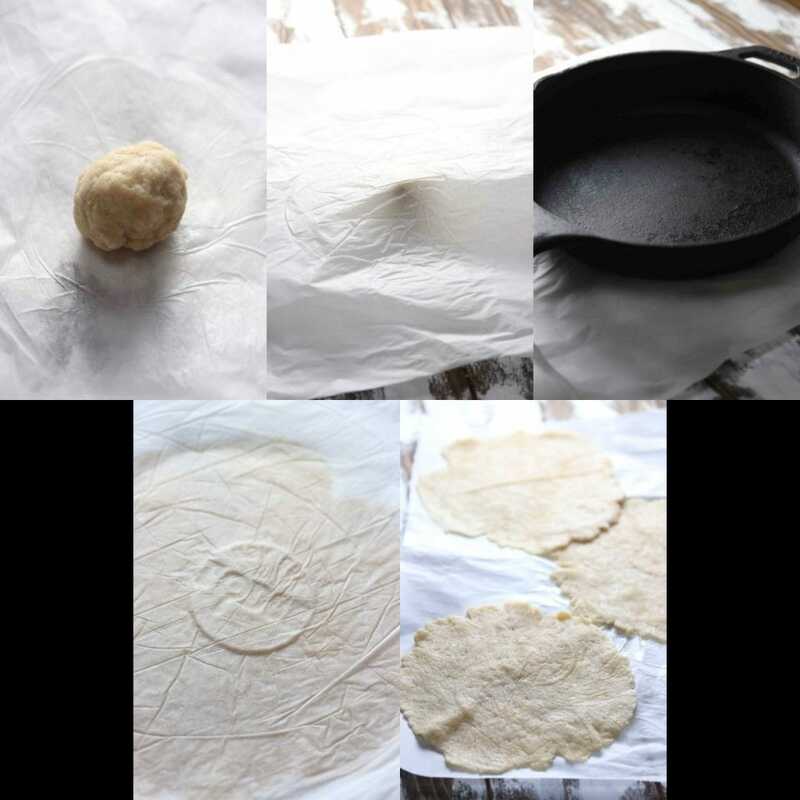 This almond flour tortillas recipe uses a combination of almond flour and psyllium husk powder. The psyllium husk acts like gluten and helps the low carb tortillas hold their shape. Depending on the brand you use, your psyllium husk may turn your baked goodies purple. I recommend using the NOW brand of psyllium husk powder as I’ve never had any problems with it. Moreover, thanks to the psyllium husk, they turn out extremely pliable, soft and chewy. Basically all the things you’d want in a flour tortilla. You’ll be able to do so many recipes with these bad boys. The first thing I did were keto tacos with some of my paleo taco seasoning while my boyfriend ate his taco fillings with normal fajitas. 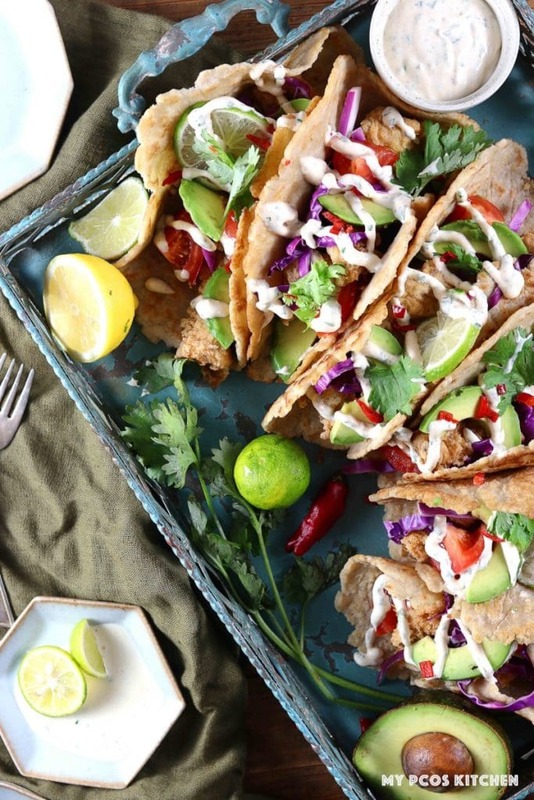 If meat tacos aren’t your thing, you’ll definitely want to make my keto fish tacos! They’re served with the best low carb battered fish and taco sauce! This psyllium husk tortillas recipe does not and will not ever use coconut flour as its base ingredients. I am not and have never been a fan of coconut flour. 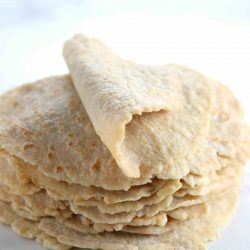 I find adding it makes these keto tortillas way too dry and not as soft or chewy. I’ve played around with this recipe to see whether more or less psyllium husk powder would work, but the 6 tablespoons was the perfect amount as they didn’t break apart when cooked or rolled. It’s really important that you do not skip the psyllium husk powder as it’s the most important ingredient of this psyllium husk tortillas recipe. You will not be able to sub it for xanthan gum, or more eggs. Psyllium is my favourite low carb binder as you can make so many goodies with it. From keto cinnamon rolls, low carb buns, or even keto chocolate cake, psyllium husk powder is one handy keto item to have in your pantry. Making keto tortillas can seem a tad bit challenging, but it doesn’t have to be! This recipe is incredibly easy to make and I’ll guide you step by step! You’ll first want to mix the dry ingredients together and then add the egg whites. You’ll mix all of that together with a silicone spatula, and it’ll give you a sort of sticky dough that doesn’t really stick together. The next step is to add the boiling water and mix the batter really good. The psyllium will absorb the water right away. The trick is to let the batter sit for a good 5 minutes so that the water can get absorbed perfectly. Once it’s been sitting for a bit, you can then start forming small dough balls. The balls should really stick and will not fall apart. I made 8 balls with the dough I had. For the following steps, you’ll want to do one ball at a time. Add one dough ball on top of some parchment paper and cover it with another piece of parchment paper. Place a cast iron skillet, or any really heavy frying pan or pot, on top of the dough ball and press really hard with your weight. Once you’ve pressed, you can also twist it lightly like a steering wheel to help the dough spread out like a tortilla. Once you lift you up your skillet, you should have a flattened tortilla ready to get cooked. Just peel the parchment paper off and repeat with the next balls. Once all of your almond flour tortillas are flattened, you can start cooking them in a frying pan. Add a bit of oil, or butter and heat it on medium heat. Add each tortilla, one at a time, to the pan and cook 20-40 seconds on each side. You just need to cook them until they get a little golden brown crust. Once cooked, let them sit on a plate to cool down and they are ready to serve. You can store these in the fridge or on the counter in winter. In summer, I would store them inside the fridge. You can also freeze them. I thawed them in the fridge and heated them a little bit in the microwave. You could also fry them again on a frying pan. 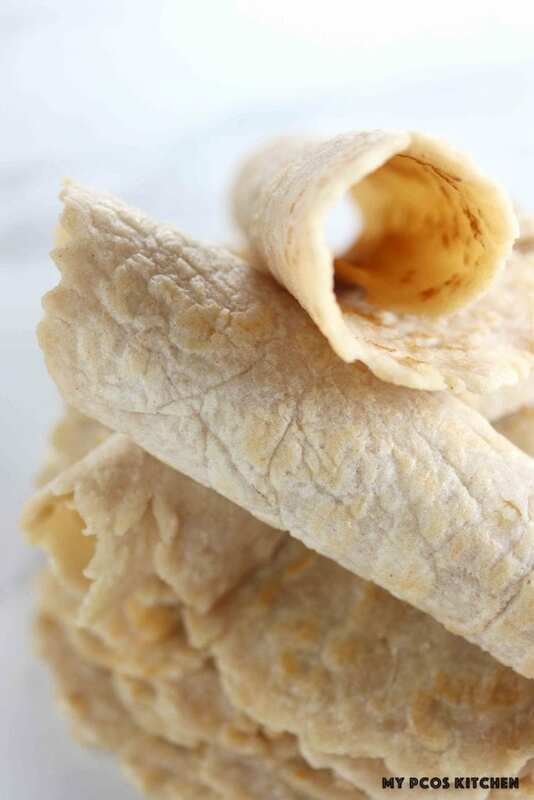 By following the following tricks when making these low carb tortillas, you should not run into any problems and should have delicious chewy keto tortillas in no time. You cannot substitute the psyllium husk powder for anything else. You must use it. Do not lessen the amount of psyllium husk powder, as the tortillas may break apart when you cook them in the frying pan. Feel free to add any sort of spice to the batter! Any flavouring should work. You absolutely need to add the boiling water. After having mixed the boiling water with the batter, let it sit for 5 minutes. This will let the psyllium absorb all of the liquid and you’ll be able to roll them out. The egg whites are also necessary for this recipe. I have not tried flax eggs, so cannot say if it works or not. 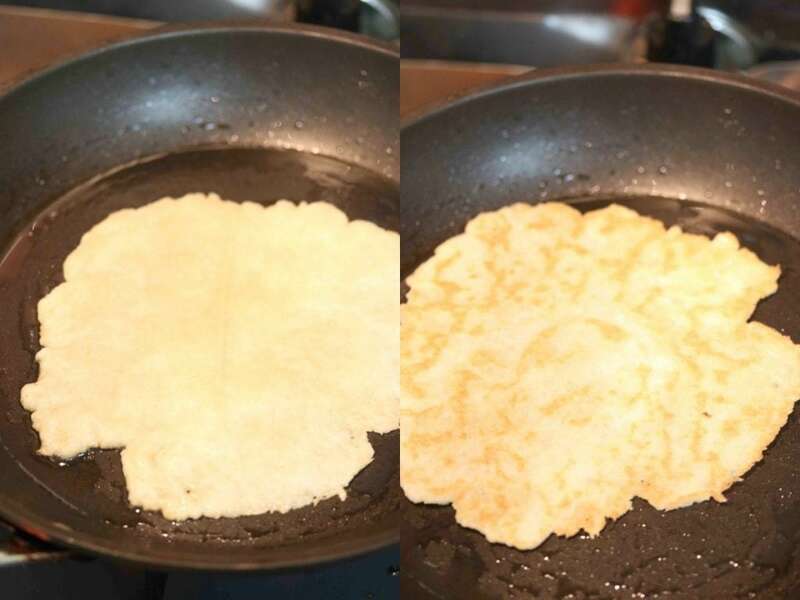 By putting a piece of parchment paper under and over the low carb tortilla dough, you’ll be able to flatten them out without having them stick to the pan. Try to use the heaviest pan or skillet you have. I used a Lodge cast iron skillet and it did the trick. 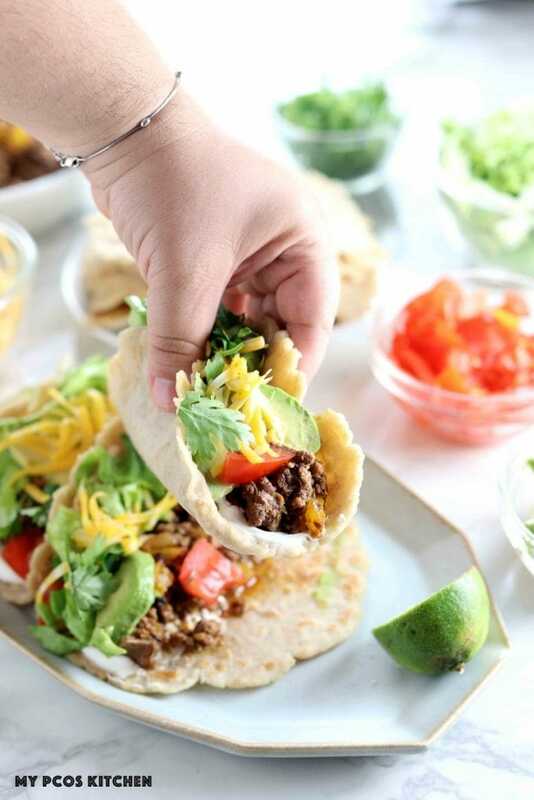 Once finished, these low carb tortillas will be perfect to hold onto your delicious taco meat and be devoured by the entire family! 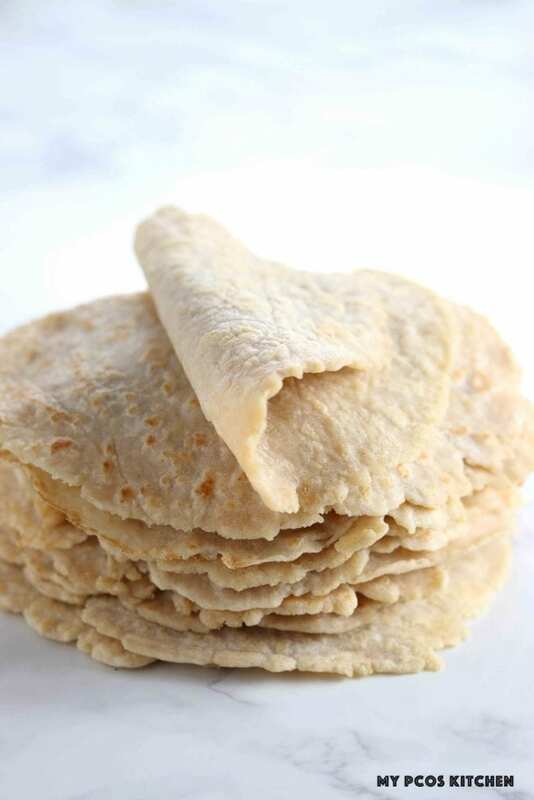 Delicious and super pliable tortillas that are completely gluten free and dairy free! Pour the boiling water a little at a time over the dough and mix with a silicone spatula. The psyllium will absorb the water as you mix. Once completely mixed, let the dough sit for 5 minutes. 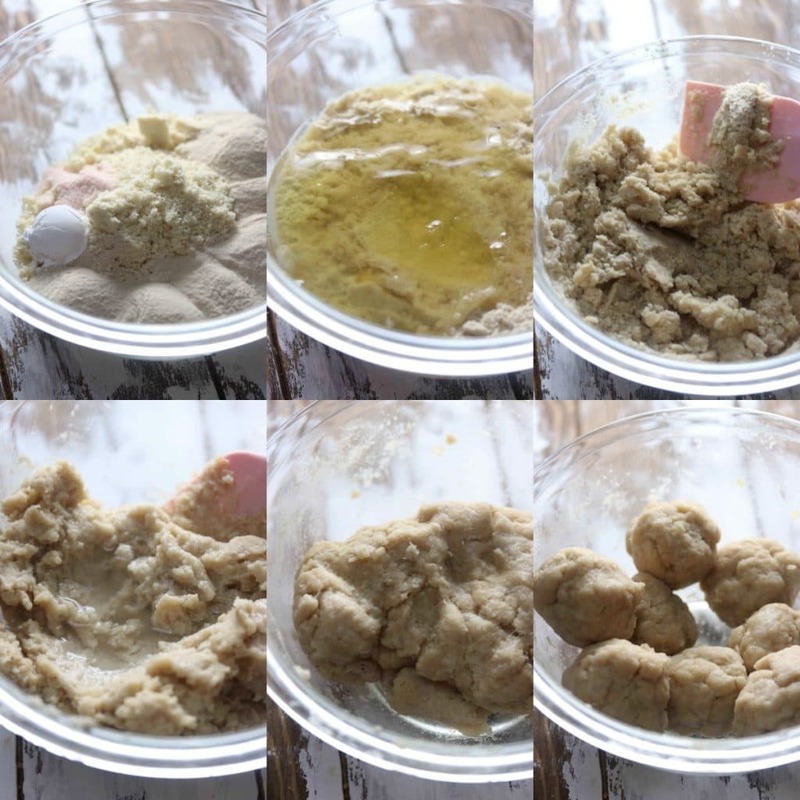 Separate the dough into 8 balls. Place one ball at a time over a piece of parchment paper and cover with another piece of parchment paper. Place your heaviest skillet or frying pan ( I used a Lodge cast iron skillet) over the dough ball and press with your weight. You can also twist the skillet, once pressed, left to right like a steering wheel, to expand the dough even more. This will create thin tortillas, but they will thicken a bit once cooked. Repeat this step with the 7 other dough balls until you have 7 more tortillas. Heat some oil in a frying pan or skillet, and place the tortillas inside, one at a time. Cook on each side for 20-40 seconds on medium heat, until the crust becomes golden brown. Once cooked, transfer to a plate to let them cool. You can then use them as you wish. These can be stored in the fridge for about a week. You can also freeze them. Thaw them first and then microwave them a few seconds, or reheat them in a frying pan. You cannot substitute the psyllium husk powder. You absolutely need it. Do not leave out the egg whites or boiling water. You can use any other type of nut flour. You cannot use coconut flour. Make sure you leave the dough after adding the boiling water to sit for a few minutes before pressing them. Simple, fantastic handling qualities, and stays flexible. The recipe just works, I have tried a number of other Keto/Paleo tortilla recipies, and this is the easiest and most forgiving. Thank you kindly for this. I just made it and its surprisingly good. It’ll get the job done! I appreciate your efforts to assist those on low carb. Are you saying that each tortilla has 10.4 GM’s of carbs? Yes, each tortilla has about 10g grams of carbs and 3 net carbs. Thank you; trying them today! OK, tried this, like this. Has one straight way and then the following day, reheated one from frozen in the microwave. Maybe it was me but my prep time took 45 minutes, maybe first time ineptitude but overall, a good addition to my Keto nutrition plan, thank you. 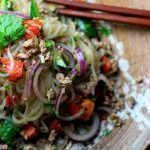 Easy to make and taste delicious, will add these to my regular keto recipe list! 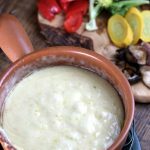 How critical is the salt in this recipe? Was surprised to see the nutritional information and see the sodium!! Hi Mason, it’s not critical at all. It’s just for taste as they’re pretty bland tasting without it. The 1.5 tsp of salt though is for 8 tortillas, which equals to about 900mg per tortilla. 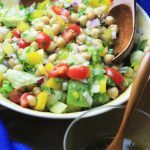 If you’re on a low carb diet, it’s important you get 1.5tsp of salt per day (3500mg) in order for you to balance your electrolytes so 900mg isn’t much for this low carb recipe site. Made them, loved them, shared the site with all my keto friends. Thank you.